Active In-Home Therapy serves families in the San Francisco Bay Area by providing quality, in-home physical therapy, occupational therapy and speech therapy. 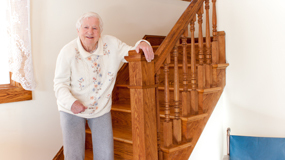 Our goal is to maximize the independence and wellness of our clients in the comfort and privacy of their homes and to improve each client’s quality of life through in-home therapeutic activities that promote vitality, and improved health. To augment these services, we also offer massage therapy and personal training. 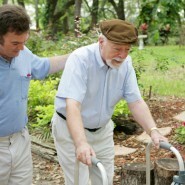 We are dedicated to making life healthier, more purposeful, active, and fun, regardless of age and physical limitations. 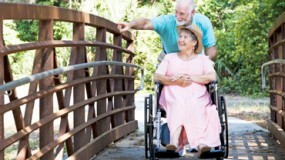 We provide private pay services and also accept Medicare and select other insurances. By providing coordinated therapeutic services at home we are able to efficiently meet our clients’ needs and streamline comprehensive care. We eliminate the need to travel for therapy services so our clients and their families can conserve valuable time and energy. We provide therapy services on your schedule so that you can receive treatment when it’s convenient for you. 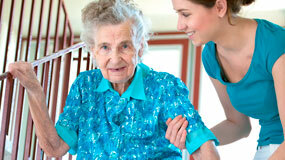 Our therapists will train home-care staff and family members to continue treatment between therapist visits. 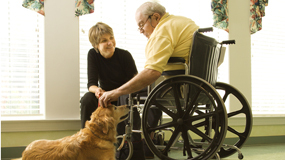 Most clients require multiple therapeutic services. We are passionate about our work and strive to fulfill our promise of complete client satisfaction. I have had the pleasure of working with Lucy K. in my home for six months now. She is always on-time, courteous, encouraging and creative. She knows when to push me, and when to ease off a little bit. My movement and energy have improved tremendously since we started working together. I always look forward to her twice-weekly visits.